Redknee is now doing business as Optiva Inc.
After a two and a half-year rollercoaster ride, during which it acquired Orga Systems then parted company with its founder and CEO, Canada-based Redknee Solutions Inc. (TSX: RKN) has changed its name to Optiva Inc. Jeremy Cowan reports on the plans for calm after the storm. Software vendor, Redknee, which delivers monetisation and subscriber management solutions to communication service providers (CSPs) globally, has unveiled a new brand and visual identity as part of what it describes as its “sweeping transformation”. Redknee hit the headlines in December 2012 when the Canadian firm emerged ahead of Ericsson and Amdocs as an unexpected new home for the business support systems (BSS) assets of ailing Nokia Siemens Networks. There then followed a three-year task to integrate the NSN BSS assets, during which time there was pressure to deliver the research & development and marketing resources needed to compete in this sector. The upside, however, was the immediate addition of 130 new service provider customers, according to then CEO Lucas Skoczkowski, 90% of whom were said to be new to Redknee. The deal also brought valuable and complementary products and intellectual property. In July last year, the CEO, Danielle Royston announced that Redknee Solutions had received shareholder approval for its previously announced US$54 million rights offering, the net proceeds being used to fund a restructuring of the business according to it new strategic plan. Danielle Royston, Optiva Inc. CEO: We are completely rebuilding Redknee from the ground up. More than a new name, logo and website, the Optiva™ brand is designed to “reaffirm the company’s commitment to deliver powerful insights and innovations and to drive our customer success programme — Optiva Advantage™. With this programme, every customer outlines its overall strategic business goals, and a plan is created to align our people, products and projects to achieve these objectives,” according to Royston. “Our new brand further embodies our vision to provide valuable, innovative and agile products at the lowest total cost of ownership. We want to align ourselves with our customers who want market leading products at market competitive prices. This distinctive differentiation along with our Optiva Advantage™ program is the start of a new beginning for our company, and I could not be more excited about our future,” she adds. Optiva Inc.’s portfolio of subscriber management software offers real-time billing, charging, policy management and user experience functionality. Solutions are available on-premise or in the cloud. 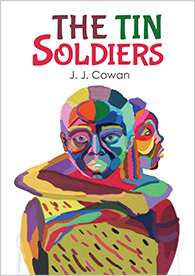 The author is Jeremy Cowan. Established in 1999, Redknee Solutions Inc., dba Optiva Inc., is listed on the Toronto Stock Exchange (TSX: RKN). Renaming the company Optiva Inc. will be finalised upon completion of all requisite shareholder and regulatory approvals, with an anticipated effective date of April 3, 2018. The author of this blog is Jeremy Cowan, editorial director of VanillaPlus, IoT Now and IoT Global Network.com.